Mollywood is seeing an increasing number of star children following in the footsteps of their parents in various departments of cinema. Director Vinayan’s son Vishnu Vinay will be making his debut in front of the camera through debut director Vishnu Govind’s film Nalla Nadappu. Leaving aside the similarity in first names, the two are also very good friends and have collaborated earlier on various scripting projects. 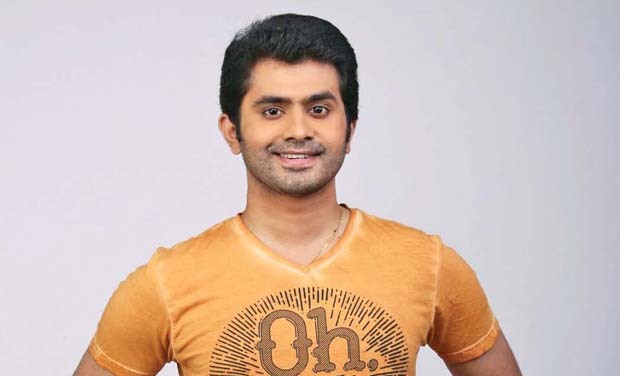 Vishnu Vinay has been the scriptwriter of a Mollywood film Hareendran Oru Nishkalankan. Speaking about the film, director Vishnu says, “The film has Vishnu and Vidya in lead roles and also has Vinay Forrt, Joju, P. Balachander and Renji Panicker in prominent roles. The film is about a youth who comes to the Kochi metro and his struggles to become something in life from zero. Basically this film will capture the essence of Kochi and of the youths living here.” The locations of the film are Kochi and Wagamon and the shoot would begin by December first week.